Watch as IBM hybrid cloud experts discuss the ways RPA can help your organization along the digital transformation journey. RPA and Rules: Can business rules take software bots from basic to better? 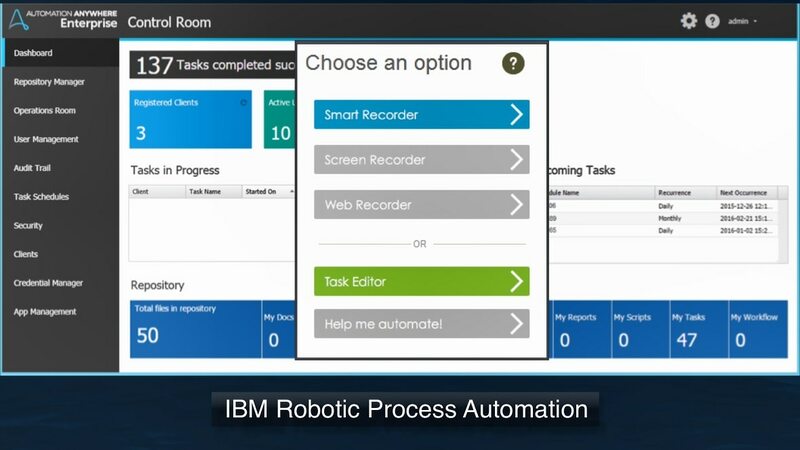 Learn how to make robots smarter with rules-based decisions using IBM Operational Decision Manager. Use robotic process automation to automate repetitive tasks for increased operational productivity, speed and scalability. An economy increasingly based on digital interaction is pushing interest in automated business processes to new heights.